Product prices and availability are accurate as of 2019-04-12 13:04:06 EDT and are subject to change. Any price and availability information displayed on http://www.amazon.com/ at the time of purchase will apply to the purchase of this product. 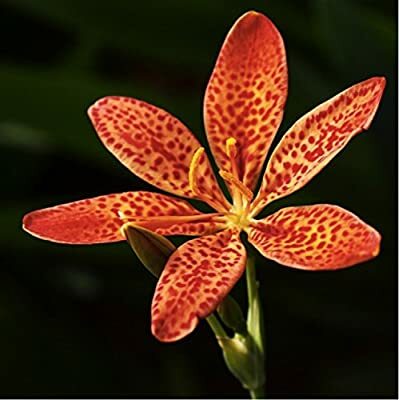 Blackberry Lilly 'Freckle Face' (Belamcanda Chinensis (L.)DC)Ê- rare perennial heirloom, also commonly called tiger lilly. Beautiful to be grown indoors or outdoors. Grows 60-95cm tall, sets large, 5-7cm wide blossoms which are stacked to 15-20 racemes. Starts flowering first year after sowing the seeds.Growing: indoors/outdoors, warm location protected from winds with full sun/partial shade. Plant inside fertile, well-drained soil, preferably rich in organic matter. Push the seeds lightly into the soil (not more than 0.5cm) and cover lightly with extra layer of soil. Water regularly when needed to keep the soil moist, though avoid overwatering which often causes the rot of the seeds/roots. One packet contains 10 seeds safely packed in nitrogen sealed hermetic bag for protection, maintaince of longer viability and comfortable storage. 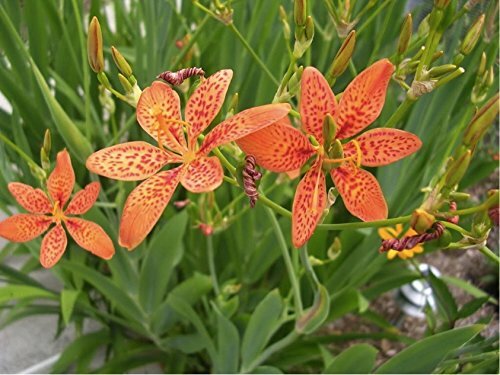 Rare, perennial heirloom also called 'tiger lilly'. Starts flowering first year after planting the seeds. 60-95cm tall with large, 5-7cm wide blossoms that are stacked to 15-20 racemes. Highly decorative, suitable for indoors and outdoors growing. Non GMO, 100% Natural and Fresh, Free from Harsh Chemicals and other Destructive Compounds. Processed with the highest quality and care. Item is shipped by Standard Airmail within 2 working days and it takes around 14-20 days to arrive.